For some reason I couldn’t bring myself to bake for Tudor Week of Great British Bake Off last week. I’m not sure if it was the Tudor recipes, as I wasn’t up for making pies, jumble knots or marzipan, or if I’ve just got tired of baking something sweet each week. It didn’t inspire me anyway this last week. However when I spotted three very overripe bananas in the fruit bowl (clearly the ones in the photos below are new ones I bought to replenish the bowl!) I decided banana bread was safe. 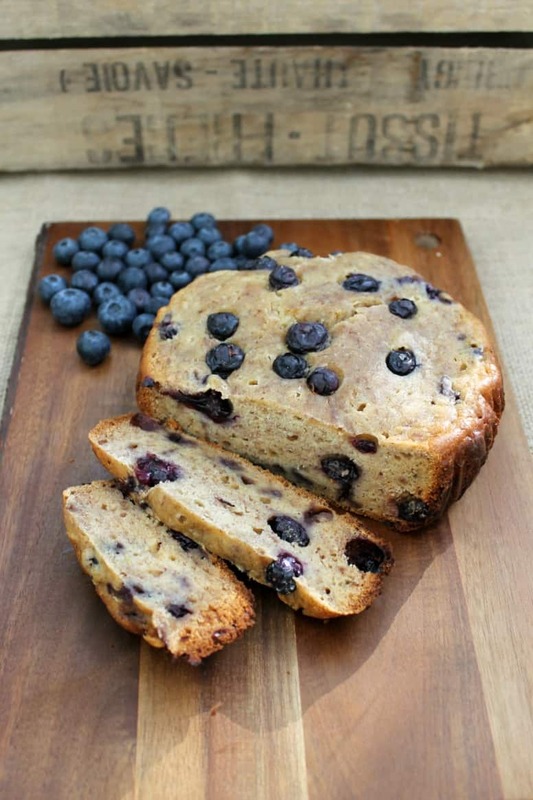 My slow cooker blueberry banana bread makes an ideal afternoon or after-school snack. This time I’ve swapped out butter for coconut oil, and used some maple syrup in place of caster sugar, making this recipe free from refined sugar. Rather healthy for me! The bananas were so ripe that they added a lot of sweetness, and I also added some blueberries I found in the fridge. With all the fruit it wasn’t necessary to use that much maple syrup either. And yes, I baked it in the slow cooker, though undoubtedly you can also bake this in the oven. 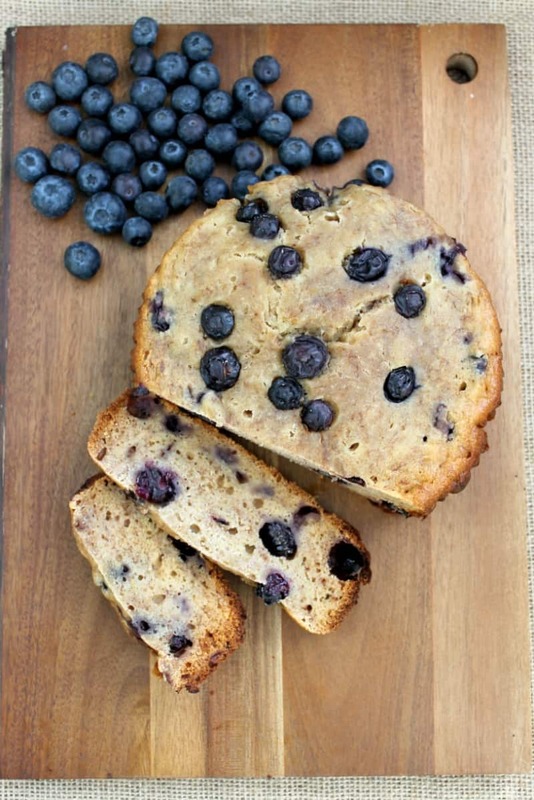 A slice or two is also great for a quick breakfast if you are on the move. And as it has all that fruit in it you can feel smug you have already made a start on your five a day! Baking in the slow cooker might take a bit longer, but for me the plus is that I don’t have to wait for the timer to go. I went to the supermarket while this was baking, and even though I took longer than I thought at the shops, the banana bread was still doing well when I got home. If you are forever burning cakes in the oven, or can’t bake to save your life, or have a busy lifestyle, and own a slow cooker, you should try slow cooker baking. What have you got to lose? You still get a nice crust on your bakes, as you can see here. Those crunchy bits are my favourite…. 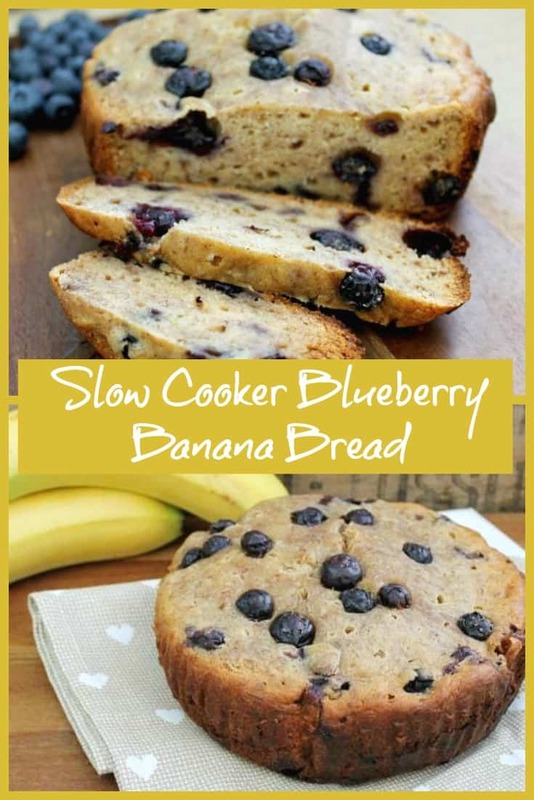 Pin my slow cooker blueberry banana bread recipe for later!! Melt the coconut oil and mix it with the maple syrup in a large bowl. Add the eggs and beat well. Mash in the bananas. Mix in the flour, salt, cinnamon and vanilla bean paste and stir until well combined. Lightly spray your slow cooker pot with oil to prevent sticking. Place a large cake case in the pot and spoon the mixture into the case (I sometimes double the cake cases so they are easier to pull out). Replace the lid, add a tea towel or some squares of kitchen roll under the lid to catch drips, and cook on high for approx 1.5 to 2 hours, until firm in the centre and brown around the edges. Use the edge of the cake case to pull the cake out of the slow cooker pot and leave it to cool. Disclosure: links marked with an asterisk * are affiliate links. I made it today! It was good the only thing was the blueberries were too sour 🙁 would you know why? Hi Ann, glad it was good that’s great! Maybe the blueberries were sour due to the time of year? They always taste sweeter in the summer to me, at this time of year blueberries are probably flown in from somewhere. I would try them before cooking with them next time. I’ve never baked in my slow cooker – I really must try it out. Thanks for the inspiration. 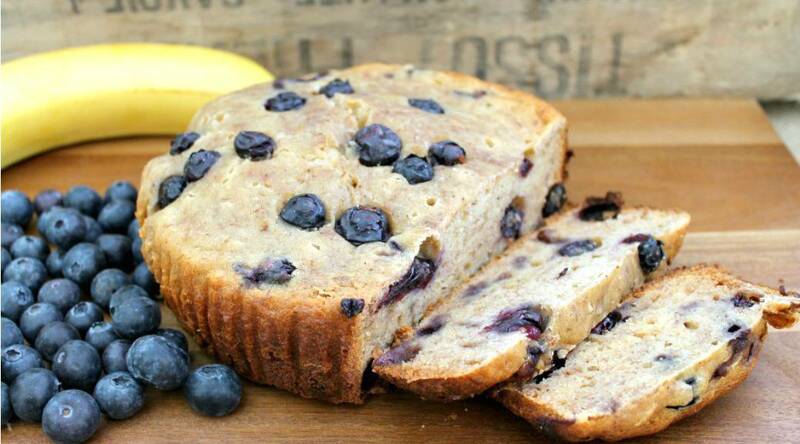 Bananas and blueberries are made for each other. I’ve got a few very ripe bananas in my fruit bowl, looks like I’ll be making banana bread if they don’t get eaten soon! Wow this is so cool. I have never baked anything in my slow cooker before but I am always so intrigued when I see that people do! I shall have to try this out, looks delish. I love baking in my slow cooker! 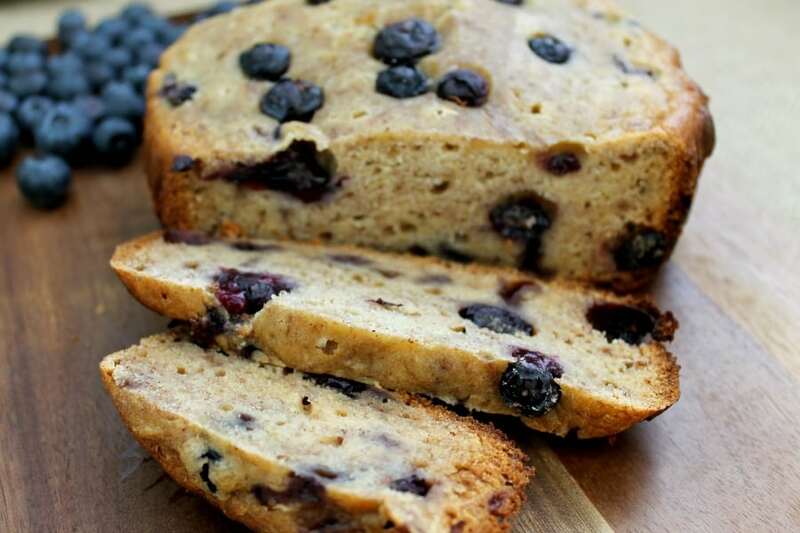 This banana blueberry bread looks absolutely amazing, looking at the pictures is making me very hungry. Can I have a slice? 🙂 Thank you for linking to my banana bread recipe! 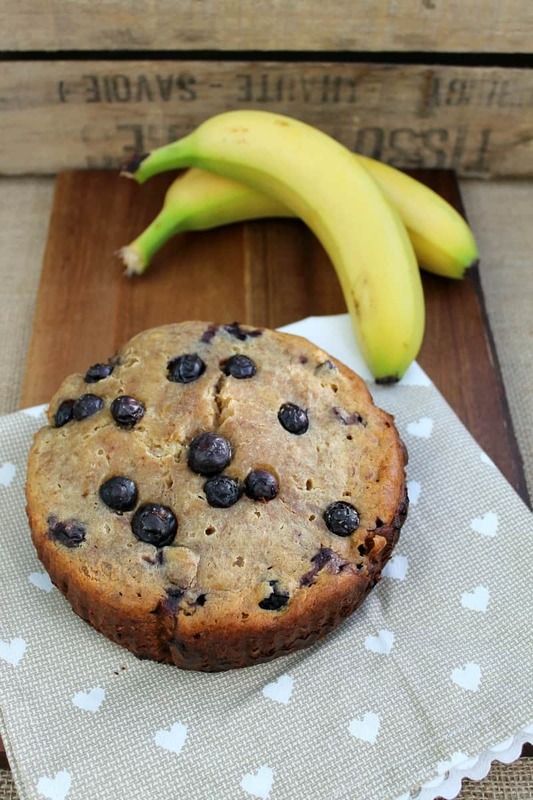 Two of my favourite fruits and done in a slow cooker – how fab! 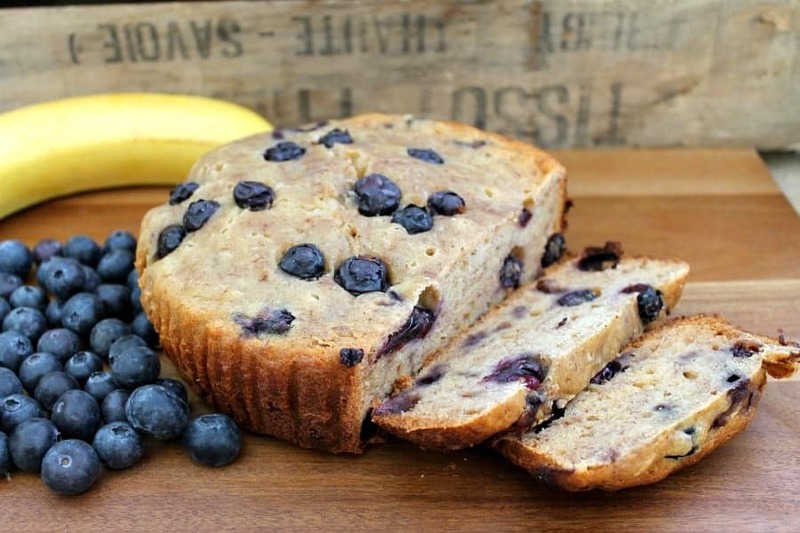 Love the inclusion of blueberries in your banana bread. I had no idea you’d get crunchy bits on the cake using a slow cooker, I sort of imagined it would steam things and thus be soft. Really must try it one day. 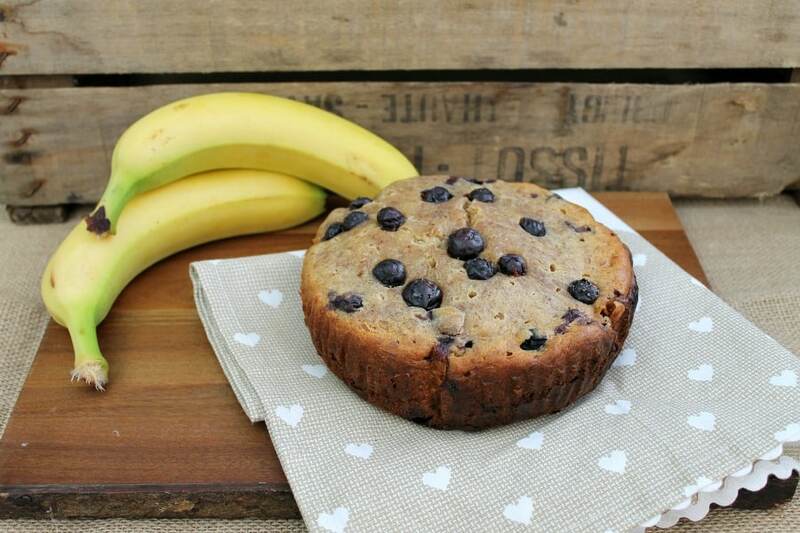 Blueberries and bananas are 2 of my favourite cake ingredients so would love to try your Blueberry Banana Bread! Must try baking in my slow cooker one day!! I am always in awe of cakes baked in a slow cooker. I gave up on mine way too soon and gave it away, not I am starting to regret it. This looks fab. Thanks for linking to me too.